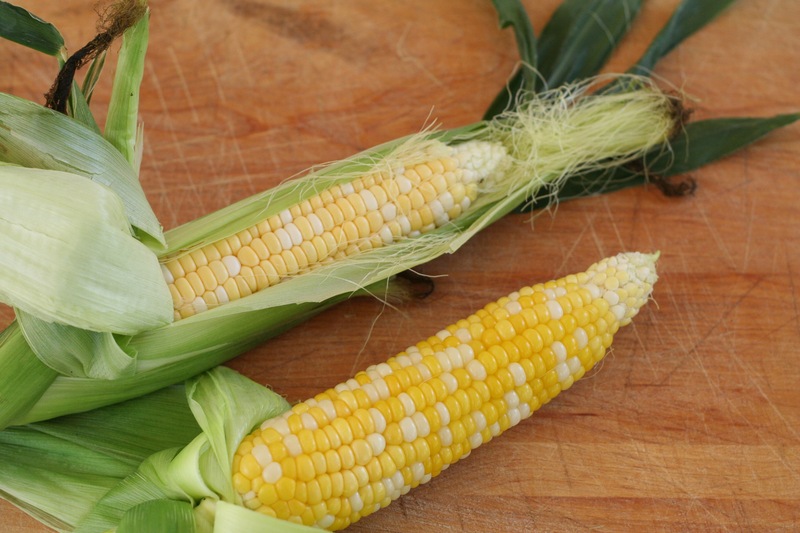 My favorite way to cook corn on the cob? In the microwave! This technique could not be easier. 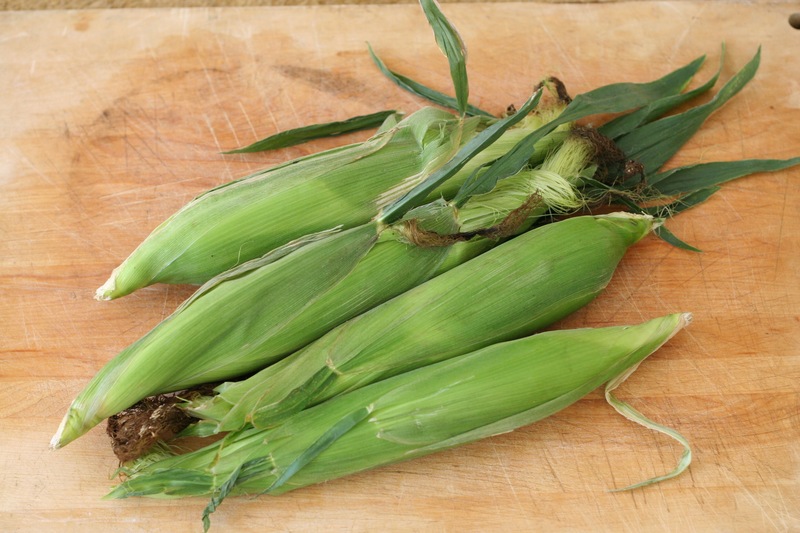 Place your unhusked ear of corn in the microwave and cook it for two minutes per ear on high. That’s it! I love watermelon. I wait all year for the middle of summer when I can once again enjoy the taste of fresh, ripe watermelon. 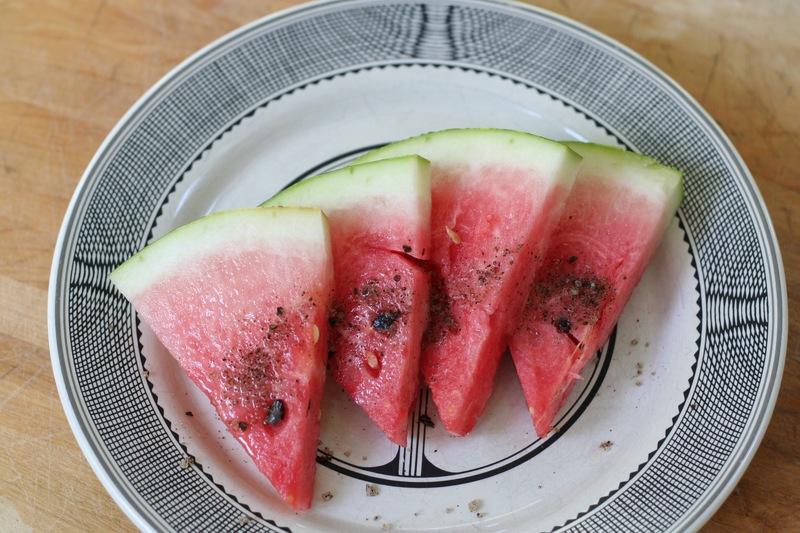 A hot late July or August day and a big, thick slice of chilled watermelon is heaven! Better yet, add some good friends to the scene and you have an invitation to share laughter and good times. I remember waiting and waiting for the first strawberries of the summer when I was a child. It seemed like forever before they arrived. But once they did, joyfully, there was an abundance! I spent many a summer morning eating bowls and bowls of fresh, fragrant, sweet strawberries. 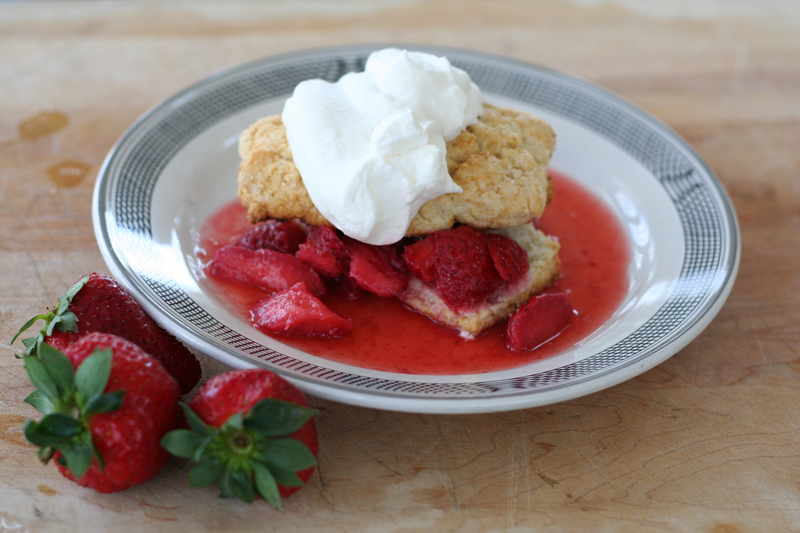 Strawberry shortcake is a true summer treat. In this recipe I use sweetened cream biscuits for the base of the shortcake, but shortcake can be made using a variety of cake/biscuit bases: angel food cake, pound cake, lady fingers, or commercially available dessert cups. 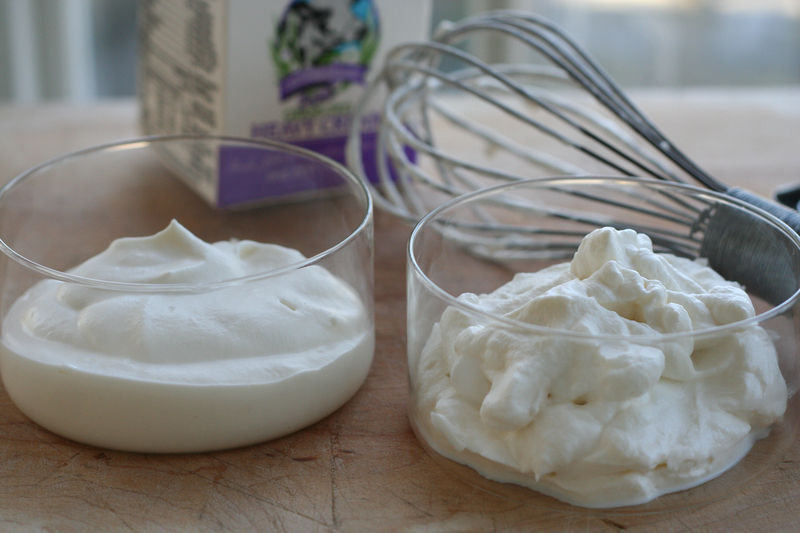 Cream can be whipped into chantilly cream (left) or until it’s stiff and firm (right). Nothing can replace the taste of freshly whipped cream. 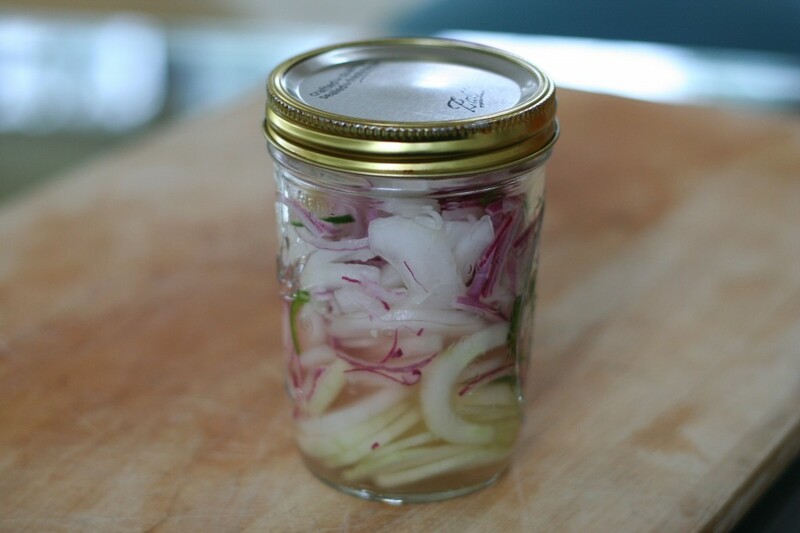 The recipe is so easy and the results so luscious, there’s no reason not to try it yourself. Your family and friends will definitely thank you for it! 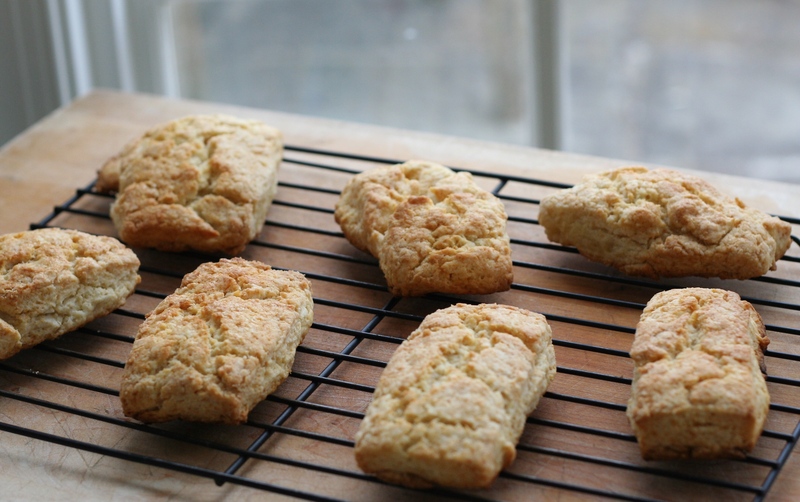 These shortcake biscuits are simple, slightly sweetened, cream biscuits. Very easy to make, they are a perfect base for strawberry shortcake. They do a great job of soaking up the lovely strawberry juices yet manage to hold their shape. 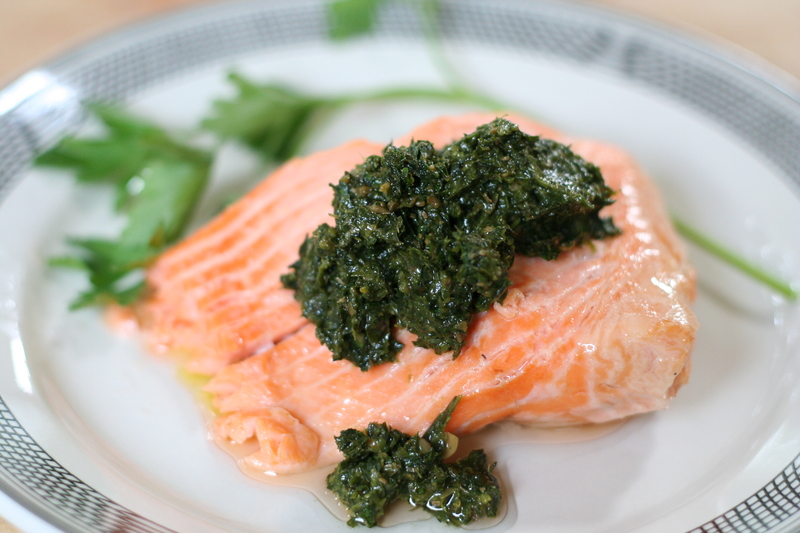 Salsa verde is extremely simple to make. The end result is a sauce with a distinctly flavorful punch. 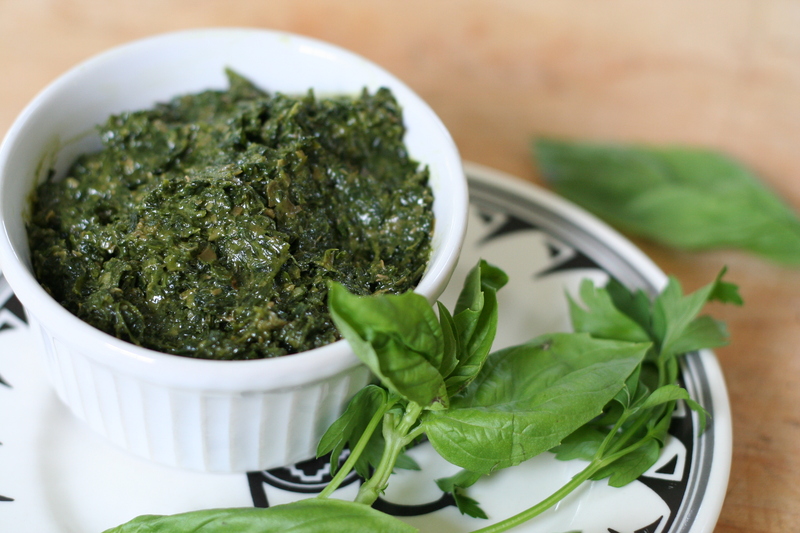 This example of an Italian green sauce is but one of many versions. 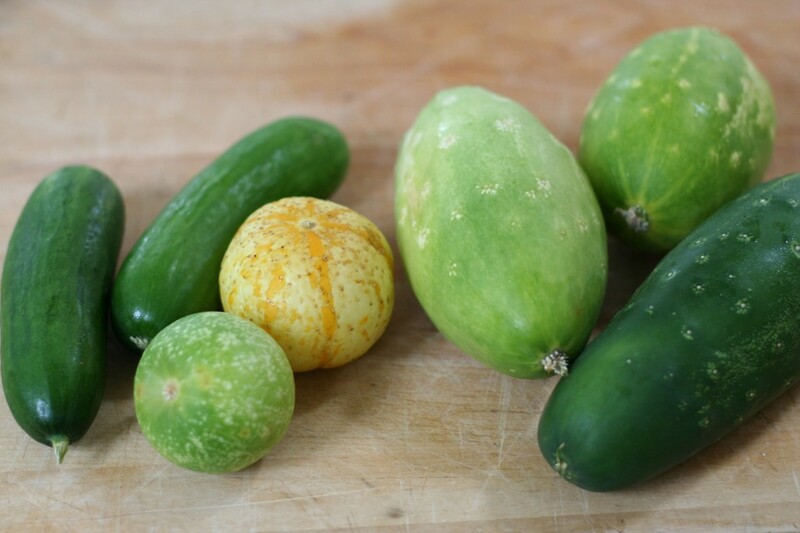 Green sauces can be found in cuisines around the world: Italian pesto, Indian cilantro mint chutney, Mexican salsa verde…the list goes on.